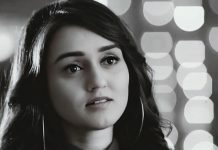 New twists with Zain Iman and Mandana Karimi’s entry in Ishqbaaz… Dadi is sure that Shivay and Anika has no relation, and Anika should better leave. She tells the family that she doesn’t accept Anika as Shivay’s wife. Jhanvi and Priyanka request Dadi to stop Anika. Dadi stays adamant. Shivay gains consciousness and asks them about Anika. Dadi tells him that he has to get fine first and then think for others. She asks him not to worry for Anika. She worries for Shivay. Shivay learns that Anika has left from the house. He tells Dadi that he cares for Anika, her condition is really weak. He doesn’t want Anika to leave from his life. Anika and Gauri feel sad to leave Oberoi mansion. Shivay gets adamant to stop Anika at any cost. Gauri supports Anika. Anika regrets that she couldn’t meet Shivay before leaving. Shivay meets Anika on the way and tells her that he wants her back at home. She refuses to come, since Dadi has ousted her. He asks her if she cares for him. She admits her feelings for him. He gets Anika and Gauri back with her. Dadi doesn’t understand why did Shivay change so much. Tej tells Dadi that Shivay has got in Anika’s control. Tej and Dadi oppose Anika. 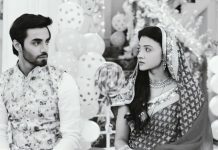 They get suspecting Shivay and Anika’s relation. Tej tells Dadi that maybe Shivay didn’t marry Anika. He doesn’t believe Shivay, as he has Shakti’s blood in him. Dadi is sure that Shivay won’t hurt her feelings. She gets hurt when she sees Anika back. She feels Shivay has insulted her decision. Anika apologizes to Dadi for going against her decision. She tells Dadi that she has come just for Shivay’s sake. Dadi questions Shivay and asks him why did he get Anika back. He tells Dadi that he will always love her the most. Shivay explains her about his big mistake which ruined Anika’s life. He wants to become responsible towards Anika. Dadi feels Anika isn’t the right girl for him. Jhanvi supports Shivay. She asks the family to forgive Anika for Shivay’s sake. Dadi gets influenced by Tej’s words. Tej doesn’t think Anika is worthy to become part of Oberoi family. Anika and Shivay get caring for each other. He asks her why did she leave. She asks him why did he risk his life. He feels guilty that he has ruined her life. He gets indebted to Anika. He tells her that he is responsible for all her problems, since Daksh was going to kill her today. She tells him that she knew he will save her. He tells her that they both have done a lot for each other and now they should look forward. He asks her what did she think about the future. She tells him that she has accepted the fate and accepted him as her husband. She questions him and asks him if he accepts her as his wife. Shivay tells her that he doesn’t believe in love and marriage, because of his parents. He doesn’t want to hurt her. He tells her that he can’t give her the happy loving life which she deserves. He expresses that he will never be able to love anyone in his life. She tells him that she knows he loves her, that’s the reason he is ready to give his life for her. He tells her that she is just a friend for him. She asks him if she doesn’t matter to him. He tells her that she matters to him, so he doesn’t want to hurt her by breaking her expectations. He clears out his emotional dilemma to her. She tells him to keep his friendship and she will fulfill the duties of a wife, so that she can win his heart some day. She wants to become his wife. There will be new twists with Zain Iman and Mandana Karimi’s entry. Shivika’s love will be tested against time one more time. Keep reading.